DZone MVB Yegor Bugayenko disagrees with the definitions of objects in OOP and wants to introduce a better one. There are thousands of books about object-oriented programming and hundreds of object-oriented languages, and I believe most (read "all") of them give us an incorrect definition of an "object." That's why the entire OOP world is so full of misconceptions and mistakes. Their definition of an object is limited by the hardware architecture they are working with and that's why it's primitive and mechanical. I'd like to introduce a better one. "Objects may contain data, in the form of fields, often known as attributes; and code, in the form of procedures, often known as methods" — Wikipedia at the time of this writing. "An object stores its state in fields and exposes its behavior through methods" — What Is an Object? by Oracle. 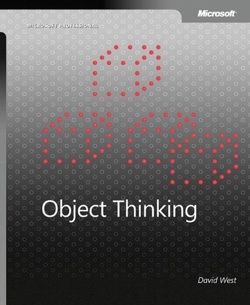 "Each object looks quite a bit like a little computer — it has a state, and it has operations that you can ask it to perform" — Thinking in Java, 4th ed., Bruce Eckel, p. 16. "A class is a collection of data fields that hold values and methods that operate on those values" — Java in a Nutshell, 6th ed., Evans and Flanagan, p. 98. "An object is some memory that holds a value of some type" — The C++ Programming Language, 4th ed., Bjarne Stroustrup, p. 40. "An object consists of some private memory and a set of operations" — Smalltalk-80, Goldberg and Robson, p. 6. What is common throughout all these definitions is the word "contains" (or "holds," "consists," "has," etc.). They all think that an object is a box with data. And this perspective is exactly what I'm strongly against. If we look at how C++ or Java are implemented, such a definition of an object will sound technically correct. Indeed, for each object, a Java Virtual Machine allocates a few bytes in memory in order to store object attributes there. Thus, we can technically say in that language that an object is an in-memory box with data. Right, but this is just a corner case! I'm not entirely sure about the JVM, but in C++ such an object will take exactly 25 bytes in memory (assuming it's 64-bit x86 architecture). The first 17 bytes will be taken by the array of chars and another eight bytes by a pointer to the block in memory with object e. That's how the C++ compiler understands objects and translates them to the x86 architecture. In C++, objects are just data structures with clearly defined allocation of data attributes. In that example, attributes vin and engine are not equal: vin is "data", while engine is a "pointer" to another object. I intentionally made it this way in order to demonstrate that calling an object a box with data is possible only with vin. Only when the data are located right "inside" the object can we say that the object is actually a box for the data. With engine, it isn't really true because there is no data technically inside the object. Instead, there is a pointer to another object. If our object would only have an engine attribute, it would take just eight bytes in memory, with none of them actually occupied by "data." Now, let's get back to our new pseudo language. Let's imagine it treats objects very differently than C++ — it doesn't keep object attributes in memory at all. It doesn't have pointers, and it doesn't know anything about x86 architecture. It just knows somehow what attributes belong to an object. Thus, in our language, objects are no longer boxes with data both technically and conceptually. They know where the data is, but they don't contain the data. They represent the data, as well as other objects and entities. Indeed, the object c in our imaginary language represents two other objects: a VIN and an engine. To summarize, we have to understand that even though a mechanical definition of an object is correct in most programming languages on the market at the moment, it is very incorrect conceptually because it treats an object as a box with data visible to the outside world. That visibility provokes us to think procedurally and try to access that data as much as possible. If we would think of an object as a representative of data instead of a container, we would not want to get a hold of data as soon as possible. We would understand that the data is far away and we can't just easily touch it. We should communicate with an object — and how exactly it communicates with the data is not our concern. I hope that in the near future, the market will introduce new object-oriented languages that won't store objects as in-memory data structures, even technically. An object is the equivalent of the quanta from which the universe is constructed. What do you think? Is it close to the "representative" definition I just proposed?